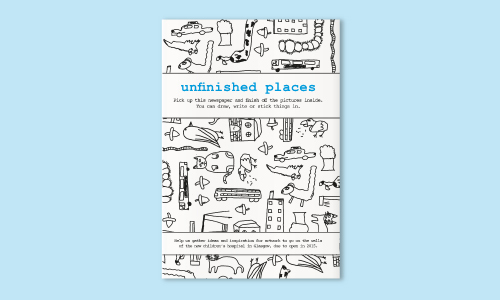 Unfinished Places is a traditional mini newspaper full of pictures which are only half finished. 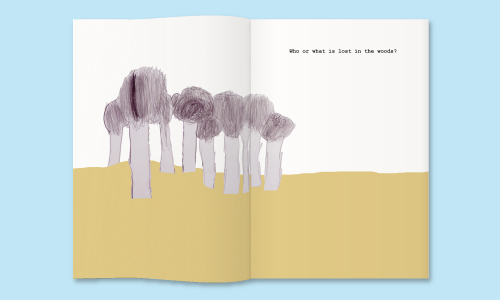 We need help to complete them by drawing, writing or sticking things in. We are using the newspaper to gather ideas and inspiration for artwork to go on the wall of the new Yorkhill children’s hospital in Glasgow, due to open in 2015. The first two pages of the newspaper contain all the information and instructions needed about how to complete and return the newspaper by 30 September 2013. Pages from completed newspapers, along with other drawings, will appear on the Yorkhill Drawings website. The newspaper has been designed with help from three schools which are very close to the site of the new hospital – Class 1.2 at Govan High School, Class 6 at St. Constantine’s Primary and Class 7a at Pirie Park Primary. 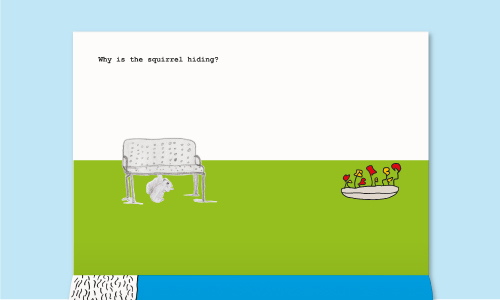 It's based on ideas about animals and places in Scotland, from cities to mountains, and squirrels to gannets. To find out more, the newspaper is available to pick up throughout Yorkhill hospital and has been distributed to galleries and community venues across Glasgow. Follow the results on Yorkhill Drawings and check out Art Yorkhill on Facebook.